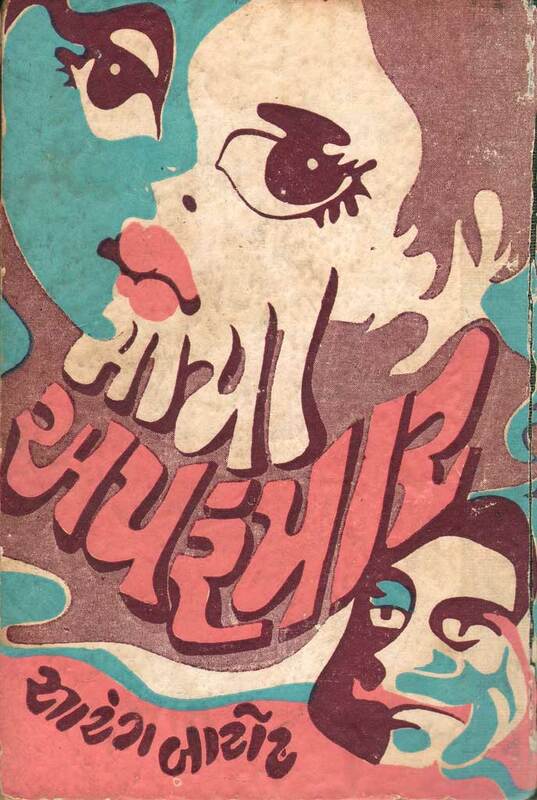 Maayaa Aparanpaar (Gujarati: માયા અપરંપાર), one example of the exquisite lettering on 1960s and 70s Indian dust jackets. Found on the exquisite book blog, A Journey Round My Skull. A note: I do my best with the reading and transliteration of lettering and type – if I make an error, I apologize! Please feel free to correct me so I can make the blog more accurate.